Oregon is located in the Pacific Northwest region of the USA. Portland is its biggest city. Oregon is known for its beautiful and diverse nature, with the long coastline, Cascade Mountain Range with volcanoes and glaciers, lots of waterfalls, vast green forests and high deserts as well. If you love wilderness and the outdoors, it is a great state to visit. Crater Lake National Park offers unforgettable memories. Besides the lovely nature there are museums that you can visit, such as the Oregon Museum of Science and Industry, Portland's Children's Museum, Maryhill Museum of Art, or Evergreen Aviation & Space Museum. For fun the Great Cats World Park, Enchanted Forest, Out ‘n’ About Treehouses Park and the Tree to Tree Adventure Park are the best. Columbia River RV is very close to the banks of the Columbia River. The park is quite large with 152 paved sites and 55 pull-thrus. All sites have full hook-ups with 20/30/50 Amps electrical service. You can use high speed internet anywhere at the park for free. Moreover, there is cable TV with HBO available. You can get all clean and fresh here thanks to the nice showers and the laundry room. Since the park has a recreation room and an exercise rooms as well, it is perfect for all members of the family, young and old. You can cook here easily in the kitchenette. The public dump station can be used as well. Delta Park Sports Complex and the Columbia Children's Aboretum are close by. The Blue Ox RV Park is open all year round. It has 149 full hookups and 70 pull-thrus with 30/50 Amp electrical service. There is room for slide-outs, so you are welcome with your pop up camper. You have free access to the WiFi internet at the park. Feel free to bring your pet along. You can do all kinds of things at the park to relax. There is a recreational hall, a heated pool, an exercise room and a spa. All this has been assured for a great vacation, and while you relax, the kids can play horseshoes. If you like reading, feel free to use the Parks’ library. Note: Blue Ox RV park offers discounts to Good Sam Club members. 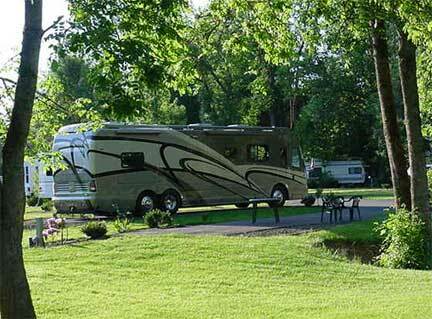 Deerwood RV Park is a family owned park, located in a secluded green woody area offering shade and serenity. Here, surrounded by mighty oaks and other trees you will be able to enjoy the beauty of nature. All of the sites include water, sewer, electric services and even more: cable TV and WiFi. Facilities such as laundry, showers, and restrooms are also at your service. If you are coming with a group, you will get a discount. The town is 5 minutes away, and there you can enjoy restaurants, cafes, museums and shopping. If you well plan your stay you may be here just in time for the Bach Festival or for the Scandinavian Festival. 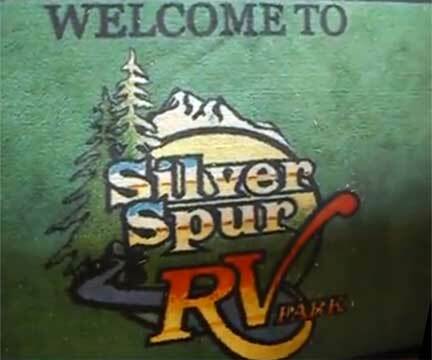 Silver Spur Park is located next to some great attractions of this state. Every site has 20/30/50 amp service. You can use full hookups providing water and sewer services. There is free cable TV and free wifi internet, so you can watch your favorite shows and stay “connected”. This park is perfect for groups because it has a large conference center. For entertainment there is a game room and library available for all guests. The restrooms and showers are modern and there is a full laundry service. And even more - you can get free coffee and popcorn anytime at Silver Spur Park. You can do some “catch and release” fishing right at the campsite’s fish pond. Close by you can enjoy the beauty of the Willamette Valley, Oregon Gardens, Silverton Oregon and the Silver Falls State Park. Crater RV Park is the gateway to Crater Lake National Park. Here you will be right in the arms of the Mother Nature. All sites have full hook-ups with 20, 30 & 50 amp service. You can get telephone lines for an extra charge, but Wi-fi Internet access is included in the price. Television access is also possible. Hot showers and restrooms are neat and clean. If you like evening bonfires then its easy and safe – you will find here fire circles and individual fire pits next to the sites. Lovers of outdoor activities will love the trails that surround the park. Nearby attractions include Crater Lake, Union Creek, Diamond Lake and waterfalls. You can do all kinds of water sports such as fishing, swimming, rafting, boating and even hunting. When traveling through Oregon you might stop at Silver Falls State Park or Cannon Beach, but the most inspiring attractions are the waterfalls and the mountains. Find a campground to set up your pop up camper or mobile home with a directory of campgrounds: tent and RV camping parks Oregon (OR), which gives you some of the campsites in the area. Beach camp parks attract many campers for the activities on the water. When you think about areas of interest, you might consider a campground for your motorhome trailer or other recreational vehicle at some campgrounds that offer bathing facilities or family activities. Some parks have nightly theaters for the kids or daily games. You can always find the right campground by looking through a directory of campgrounds: tent and RV camping parks Oregon (OR) and starting your search from there.